Looking for an easy way to organize all of those wonderful ideas for your next unit study? 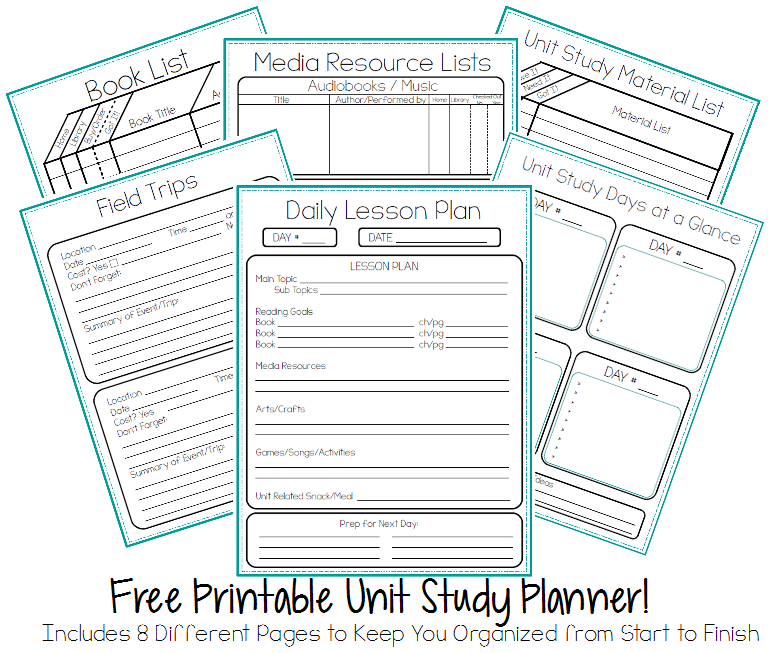 Check out this FREE unit study planner to help you organize everything you have and need for your next unit! It includes 8 different pages to keep track of your discussion points and topics, books, materials, media resources, and field trips, as well as 2 different daily lesson plan sheets and a unit overview page to see 4 days at a glance! I would love to have this set, but I don’t see a download link. =( How do I download it?